A simple chore like sewing can become a joyful experience with the right sewing machine. For over 160 years, Singer has been delighting people with its high-quality products. The company keeps on reinventing itself to offer latest models that cater to the modern people. 8 Built In Stitches including-straight,zig zag,blind hem and more! Singer sewing machines come in different categories. On one hand you have simple models for beginners and on the other hand sophisticated machines for the pros. You also get two broad categories of machines like mechanical and electronic and specialized ones for embroidery, sergers, and garment care. The company also offers all types of accessories needed for your sewing machine. All most all the models from Singer look great. They are small, ergonomic and packed with features that you need for all your creative projects. The different models are designed to serve particular requirements and offer superb performance. 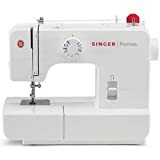 Great to use and nice to look at, a Singer sewing machine can add value to your home. 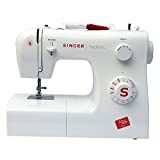 If you love sewing, you would feel enthralled to know the features offered by various models of Singer. Each range comes with easy and sophisticated models that have basic and creative features respectively. 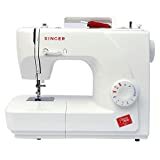 Under the electronic range, you would find high-end models like Brilliance and Confidence that are meant to elevate the experience of sewing. Be it fun projects or creative ones, with these electronic machines, you can change your world. Similarly, with the Embroidery range, you can impellent different embroidery styles and experiment too. 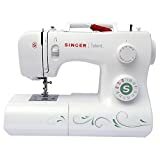 Singer sewing machines are reasonably priced. The price varies according to the different ranges and the models. While the mechanical ones are cheaper, the electronic sewing machines appear on the higher price band. 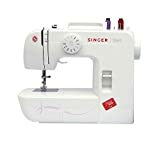 Singer, with years of experience in producing sewing machines, uses innovation to offer sewing machines that can fuel your creativity. Each model comes packed with great looks, latest features and passion to boost your creativity.